I’m watching Xarabank. The Prime Minister has said that the text of the documents which I uploaded is ‘fake’ because Egrant Inc is a Panama company and its address is given as San Gwann. It’s he who is false: he knows full well that the San Gwann office address is that of Nexia BT, and at the time also Mossack Fonseca Malta. The address given for Egrant Inc is at Brian Tonna’s office. Brian Tonna is the one who made the arrangements for the company, and it is perfectly normal for lawyers and accountants to have client companies use their office address. Incidentally, the Prime Minister is totally out of control and looks like he is going to snap. Really unpleasant character. No wonder he gets along so well with Keith Schembri. And I see he is back to being unable to speak my name: the Labour disease called “We can’t say Mrs Caruana Galizia”. What unpleasant people: setting up companies in Panama to cheat and defraud, and then getting all outraged as they stand on the moral high ground. We really have got to whip them off into the sunset – or a prison cell. 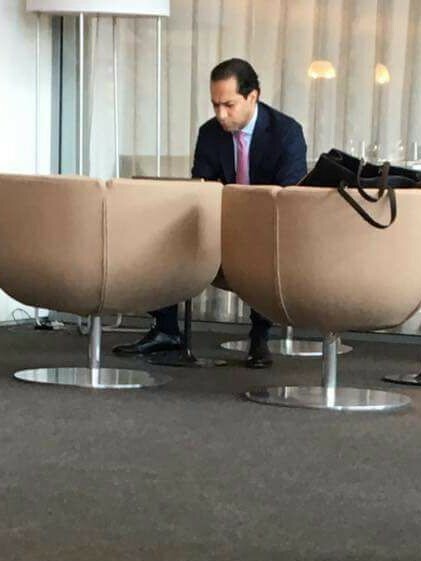 Here’s another of their sleazy money-laundering friends: Seyed Ali Sadr Hasheminejad of Pilatus Bank.